Provide legal information and general advice on mental health related law covering mental health, mental capacity, community care and human rights related to mental health issues. The Immigration Law Practitioners’ Association (ILPA) is a professional association the majority of whose members are barristers, solicitors and advocates practising in all aspects of immigration, asylum and nationality law. It cannot give immigration advice directly, but has a page explaining about immigration advice and a searchable directory to find an immigration advisor near you. The Bristol Law Clinic provides free advice and support to those unable to obtain legal support from elsewhere. Charity based in the Bristol Civil and Family Justice Centre for unrepresented litigants, witnesses, victims etc to give them someone to talk to, to attend court with, help around the building. Unable to give legal advice. 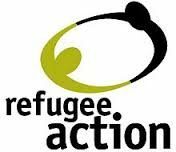 Provides independent advice and guidance to asylum seekers across the UK. Part of Migrant Help, a UK charity that has been delivering support services to migrants in the UK since 1963. Document from The Bar Council, published in April 2013.